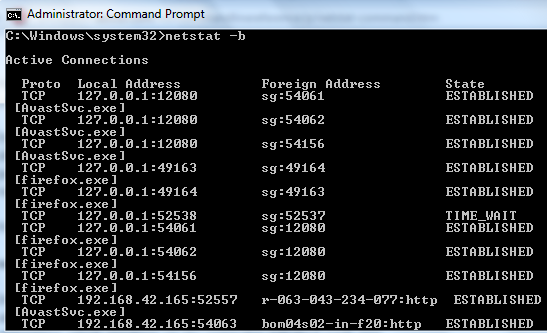 Netstat command is a DOS command used to find all active TCP connections between your computer and other network devices with port numbers and TCP connection state. 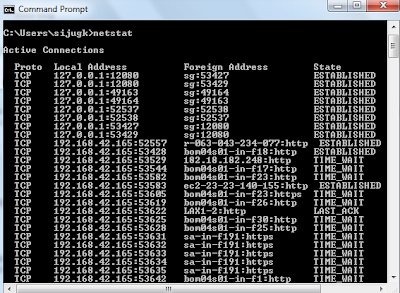 By simply using this command on the command prompt, you will get the list of active TCP connections between local IP address(your computer) and foreign IP addresses. You can also find the port numbers open in those connections. With proper syntax, we can effectively use it to view how your computer is connected to foreign computers. It has many important uses in computer security. Check the image below to understand its simple use. 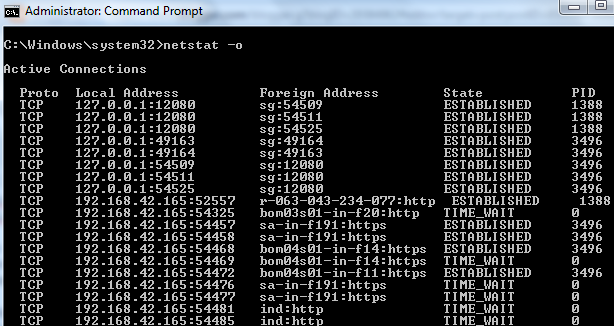 netstat -b: Displays the executable involved in creating each connection or listening ports. If you are working on computer security, it is very handy. There are many practical uses like finding any programs established a connection to the Internet without your knowledge, finding the IP address of a chat friend while sharing a file etc. Let us check some of such uses. It is important to find the names of applications installed on your computer established a connection between your computer and a foreign address. Use the following format to find every application having an active TCP connection. You just need to run Command Prompt in administrator mode to execute this command. To learn how to do this, visit the link below. 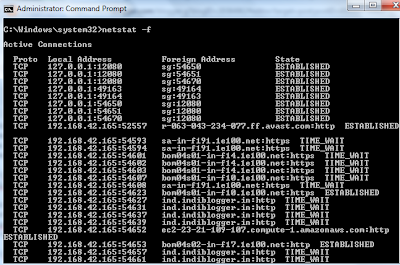 With netstat -o command you can find active TCP connections made on your computer with exact Process Identifiers(PID). One of the important application is to find the absolute domain name or Fully Qualified Domain Name(FQDN) of the connected foreign address. It will give you a clear picture of the Internet foreign hosts who are connected to your computer. The syntax to find Fully Qualified Domain Name of foreign address is given below. We can find the current offload state of TCP connections using it. The syntax to find current TCP chimney offload state is given below. 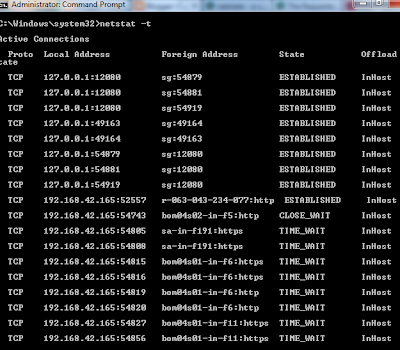 when i type netstat -b it says "The requested operation requires elevation" what does that mean? "The requested operation requires elevation" displays. Soloution is Please open the commnad prompt as Run as Administrator mode. Thanks for providing solution Atanu. @ Riju For more details please visit the link below.